With the holidays on the horizon, many of you will be traveling somewhere across the country. Thanksgiving is the most traveled holiday of the year, with Christmas right behind it. It’s when we get off time from work and school to take time to relax and spend time with loved ones. Our dependence on smartphones and tablets is higher now than ever. We use our devices to entertain, capture memories, stay in contact with friends, family and work colleagues, get directions, research topics, and even as boarding passes for flights. Being prepared for the holiday season may prevent headaches from traffic, delayed travel, sickness or even lost luggage. We’ve gathered five incredibly useful accessories for your smartphone that you should consider taking on your trip. With three smart USB 2.0 ports available, and 22000mAh of power, this portable power bank is built for power users, families and long trips. It’s sizable at 6.81 x 0.87 x 3.19 inches, and just over a pound in weight. All three ports will work at the same time, providing a max output of 5.8 amps. Most smartphones have internal batteries that range in size from 2500-3800mAh. Generally those sized batteries equate to almost a full day of average usage no matter which phone you are using. If you are talking on the phone, texting, watching movies, or listening to music while traveling, your battery will consume energy at a much faster rate. Wall outlets are limited at airports, so bring your own power along for the ride. 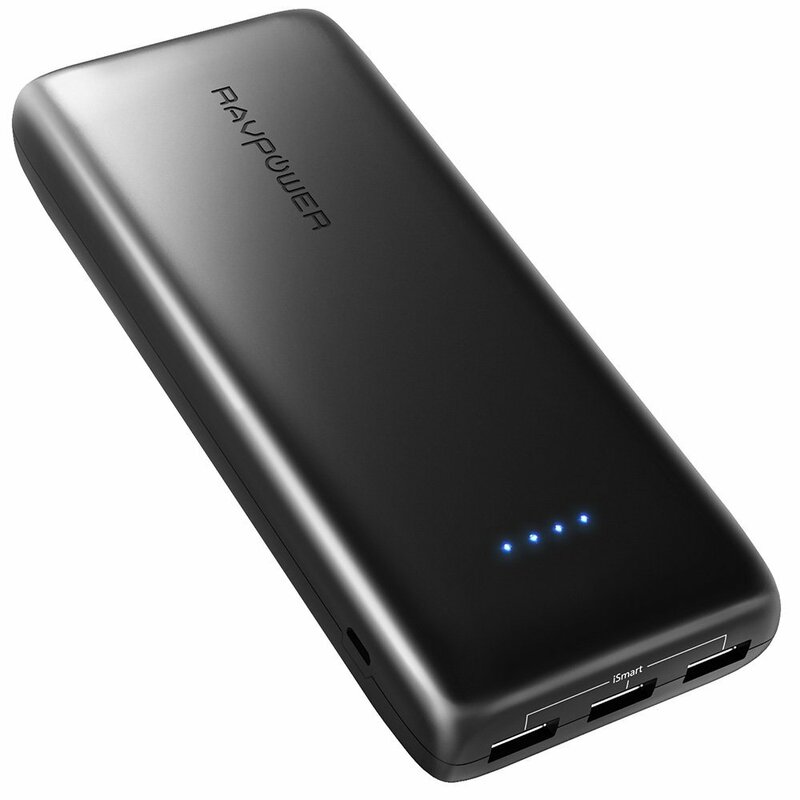 The RavPower Ace Series 22000mAh can get most single users through a full week without ever needing power from an outlet. Or it can charge three devices at the same time keeping everyone in the family happy and connected. RavPower has made quality accessories for years and the Ace Series portable power bank is another great buy at $39.99 at Amazon. Once you’re done with your holiday travels, this power bank also serves as a great backup source for power during power outages. The TrackR Bravo is a Bluetooth and GPS tracker that will help you locate lost items. It’s an invaluable accessory when home, but even more so on the road. We’ve heard of way too many stories of losing wallets, tablets, smartphones and keys. It is a coined sized device that slips into your wallet, clips onto your keyring, and connects to your phone or tablet through the iOS or Android app, to provide distance, GPS and audio functionality for locating your precious items. It’s made out of aluminum for maximum durability and minimal weight. A single TrackR is only $29.99, while a pack of three is on sale for $89.99 with free shipping at www.thetrackr.com. If the TrackR saves your keys, mobile device or wallet one time, it already paid for itself. Hopefully you won’t ever need to really use it and the investment is for your peace of mind on your travels. It goes without saying that our smartphones are incredibly important for capturing memories. And we snap and record more memories on vacation than at other times. Have you ever wondered how people manage to get such steady photos and videos? Chances are they’re using a gimbal. Gimbals were originally designed to keep compasses or chronometers horizontal in moving vessels and so captains could maintain direction when steering. Engineers adapted the technology for average consumers to use with their personal smartphones to end shaky photos and videos. 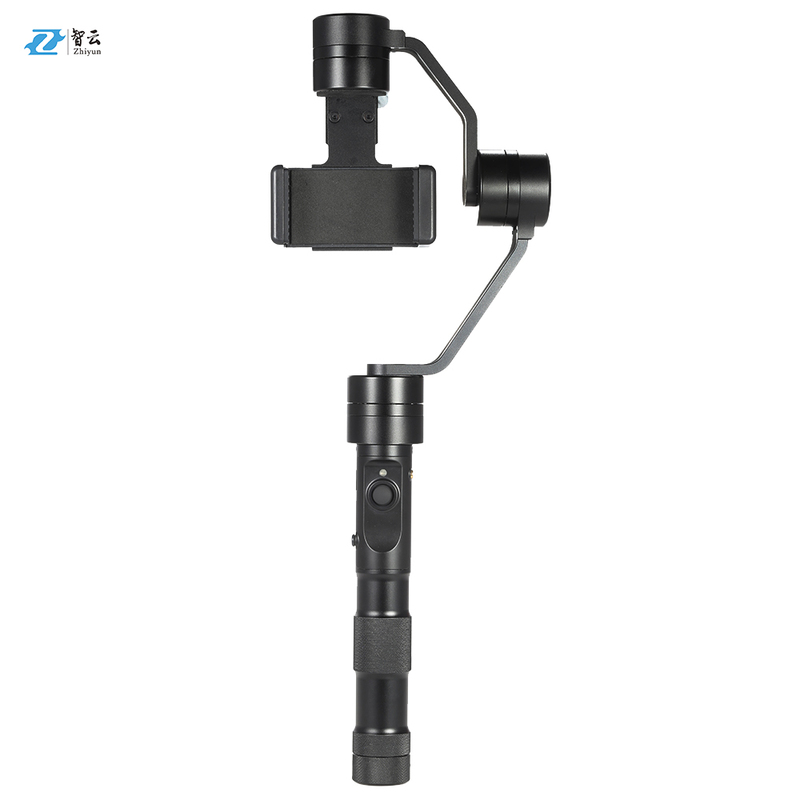 The Zhiyun Z1 Gimbal isn’t a cheap investment at $199.99, but it’s compatible with a wide range of smartphones from Android and iOS. When you’re watching the videos you made a year or several years from now, you’ll be glad you invested in this gimbal as your memories will be recorded properly. Hygiene is one of the most important lessons humans learned over the last 200 years and has contributed to longer lifespans. We brush our teeth, wash our hands, and put on clean clothes everyday. 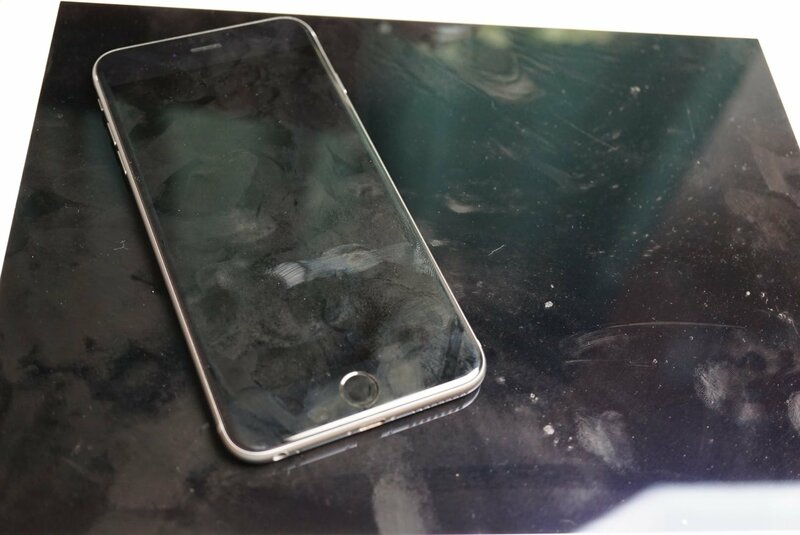 Yet most of us almost never clean the devices we use the most; some of you even use those devices in the restrooms which makes for some nasty devices. It’s peak flu season during the winter months, and viruses and bacteria are ripe for infecting unsuspecting victims. Make tech hygiene a regular habit and it may help prevent you from getting sick. Our resident Editor and Scientist Derrick Miyao reviewed WHOOSH earlier in the year and swears by it. WHOOSH! starts at $10 for a 1oz bottle and is a worthy investment for the holiday season. 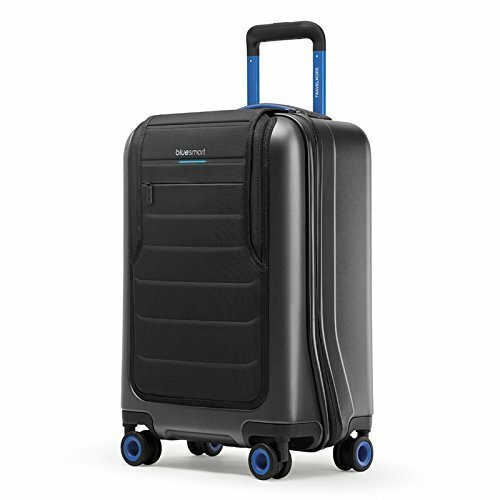 The Bluesmart One smart luggage is one of the most well rounded travel accessories on the market. Not only is it a hard suitcase with wheels, but it is also a portable power station with GPS tracking abilities that connects to your smartphone. It also has a built-in scale to ensure you don’t overpack, and can be remote locked to prevent would be thieves from stealing your laptop or other valuables. Over 10,000 backers made the Bluesmart One possible through Indiegogo almost two years ago, and it is still selling like hot cakes. Oh yeah, it can also pack your clothing too! The Bluesmart One measures at 22″ x 14″ x 9″ with a storage capacity of 34L. 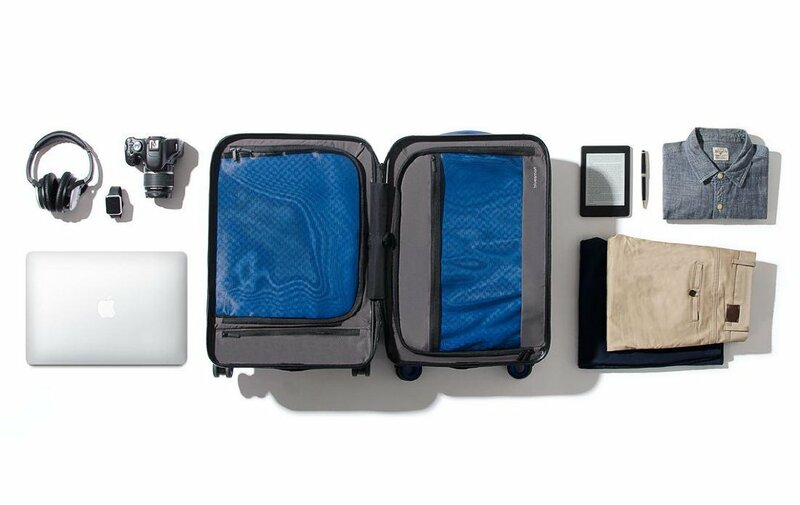 It’s perfect to use as a carry-on for 2-3 day trips. It can be purchased at Amazon for $449 with free Prime shipping. 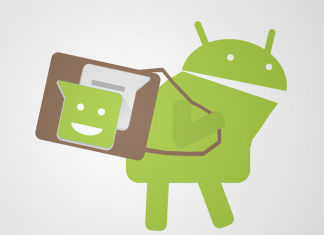 Wherever you might be traveling this holiday season, the writers here at AndroidGuys wish you all safe travels and well wishes. Make sure to put down your devices and appreciate the loved ones in your lives.